Spindly leg syndrome is the bane of many captive breeding efforts in amphibians, causing much speculation on husbandry boards. This syndrome results in poorly developed limbs of post-metamorphic froglets. The condition has been observed in most of the species we have reared at the Panama Amphibian Rescue and Conservation Project and its a priority for us to resolve from an animal welfare and production perspective. 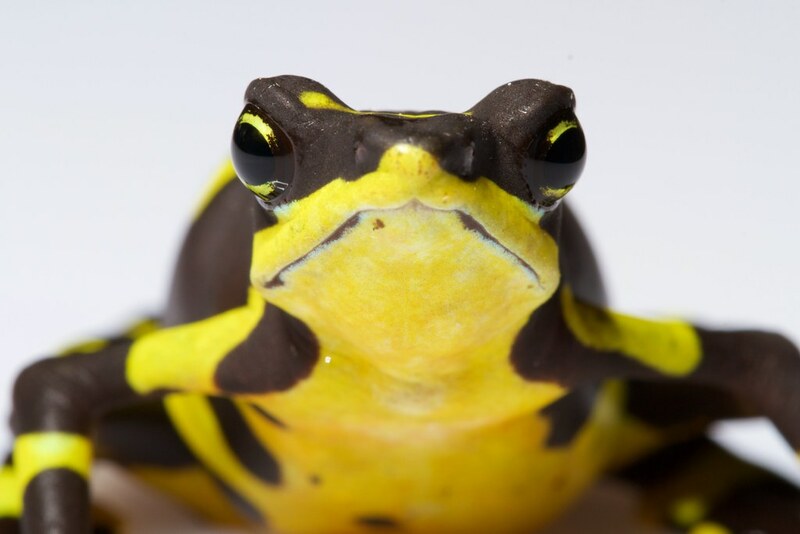 Many people had speculated that it was related to a nutritional deficiency in tadpoles or parent frogs, but the new study from the Panama Amphibian Rescue and Conservation Project using Atelopus tadpoles found no connection to diet, but treating the water by reverse osmosis filtration and then reconstituting the minerals was a sure-fire way to reduce the incidence of this syndrome. It is possible that the filtration process removed some factor that caused the syndrome, or that the reconstitution process added minerals such as calcium that were lacking in the original tap water. 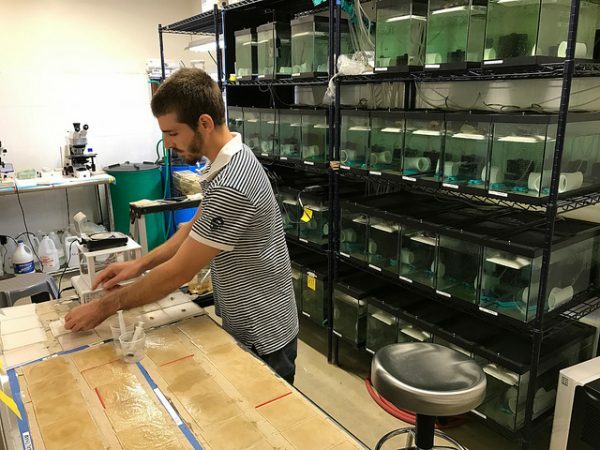 One other factor that aggravated SLS was overfeeding of tadpoles, so our future work will manipulate dissolved mineral ratios in future experimental setups. We have been awarded a grant from the Morris Animal Foundation to continue our work on this. 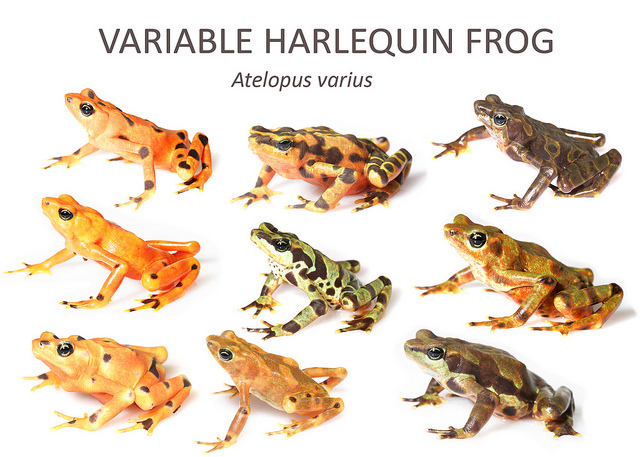 Further isolating the factor(s) responsible for causing this syndrome, will help us to improve captive amphibian welfare and allow managers to better control production of amphibians in captive breeding efforts. Julio working on the second experiment manipulating food quantity, water composition and diet type. Each tank contained 20 full sibling Atelopus glyphus. Blake Klocke, a student at George Mason University is studying where frogs go once we release them, how long it takes them to contract the chytrid fungus, if there are any effects of releasing chytrid susceptible frogs on the existing frog community & what other non chytrid fungus sources of mortality might affect reintroduction work. In addition to our primary project partners the Houston Zoo, Zoo New England and the Cheyenne Mountain zoo we thanks the National Geographic Society, Mohammed Bin Zayed Species Conservation Fund, and the Smithsonian Women’s Committee for their support of these release trials. 11 August – Panama City Amador, Punta Culebra Nature Center Family day 11AM – 3PM Frog themed games, tours and activities. 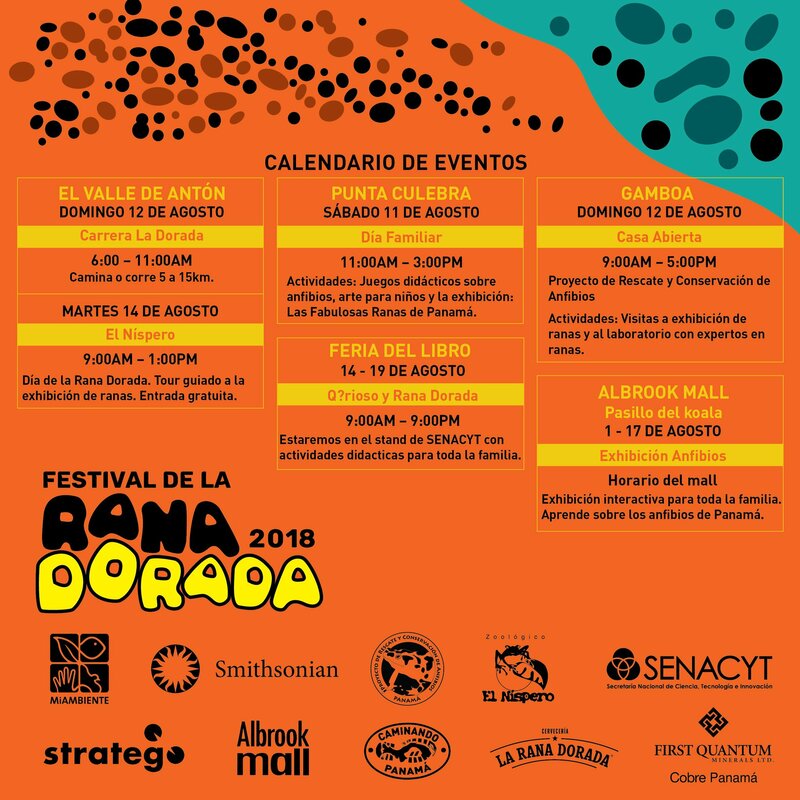 14 August – El Valle de Anton – Golden frog day celebrations at El Nispero Zoo – free entry and guided tours to see the golden frogs. 9AM-1PM. 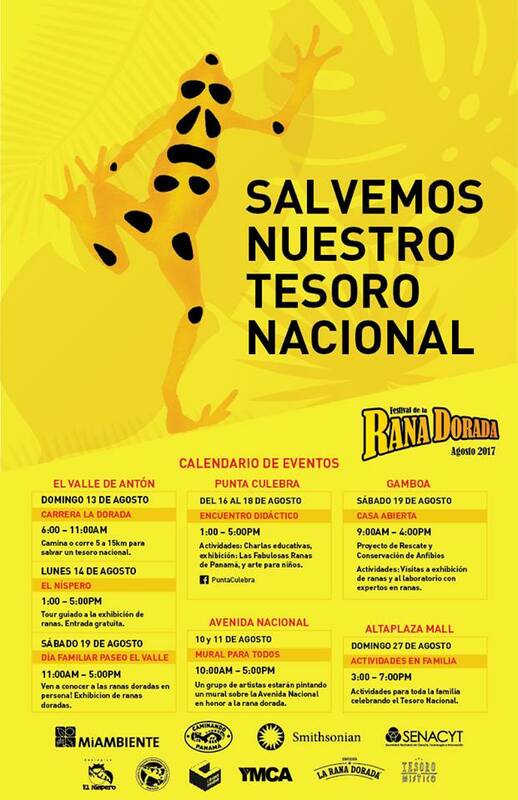 14-19 August – Book Fair Atlapa Convention Center, Panama City – Qriuous exhibit and the Golden Frog 9AM-9PM. 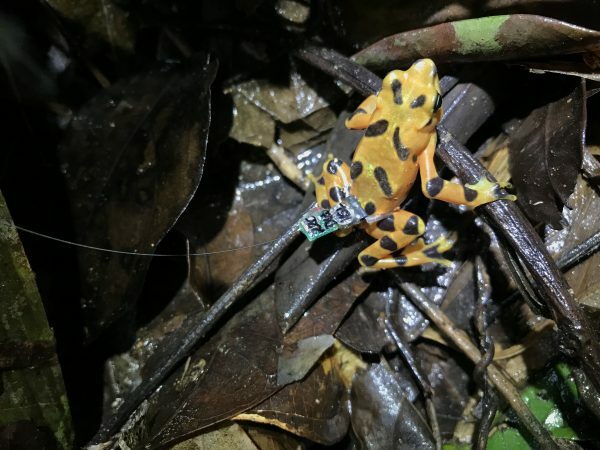 In 2004, as the amphibian chytrid fungus was sweeping through Panama, a group of conservationists established the Amphibian Rescue and Conservation Coalition (ARCC). At that time, there was insufficient capacity in Panama to care for captive assurance colonies in country and the goal of this project was to establish U.S. captive assurance colonies of multiple Panamanian species. Frogs were collected from the wild and exported in 2005 to the Atlanta Zoo and Atlanta Botanical Gardens who cared for the animals. Dr. Brad Wilson and Chelsea Thomas inside the amphibian rescue pod at the Atlanta Botanical Gardens, packing genetically representative frogs from the collection for their flight. Of the multiple species in the collection, the crowned treefrog (Anotheca spinosa) and the lemur leaf frog (Agalychnis lemur) bred well in captivity. The collection at the Atlanta Botanical Gardens was held in complete quarantine isolation for the last 8 years. While in Panama, two amphibian conservation-breeding facilities were built to care for endangered frogs. However, on the Panama side, we had too few founder animals to assure the long-term genetic integrity of these species. 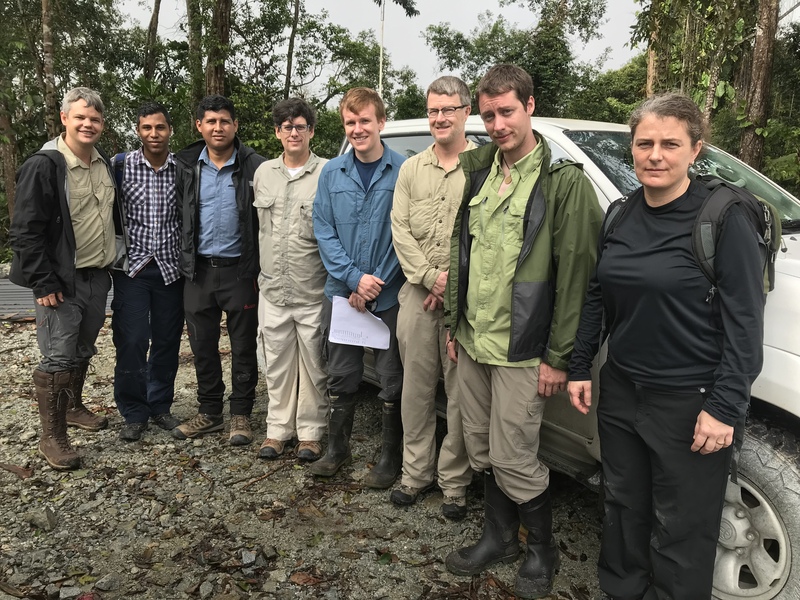 After careful health screening for amphibian chytrid fungus, parasites and examination of pathology records for the collection it was determined to be in good health, and a total of 47 genetically representative individuals of known lineage were identified for repatriation to Panama. A Crowned treefrog Anotheca spinosa This species lives in the rainforest canopy and breeds in treeholes where the mother lays unfertilized eggs to feed her tadpoles. The lemur leaf frog Agalychnis lemur. 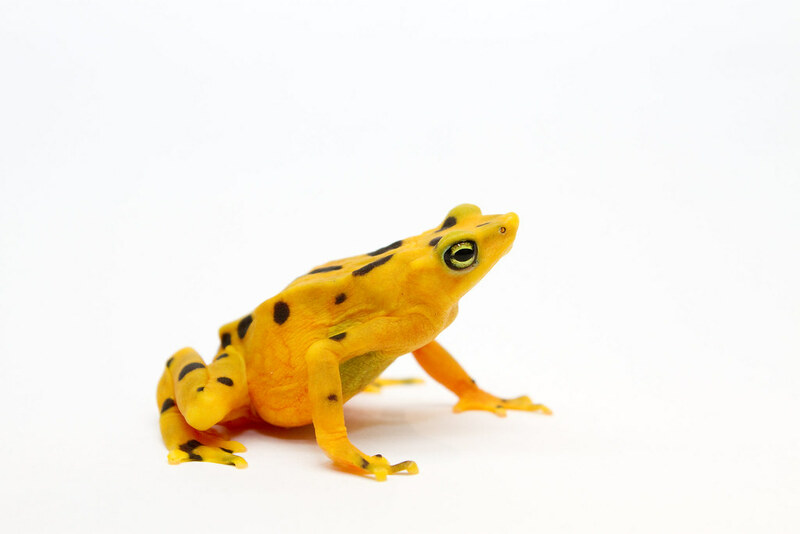 Wild populations have been decimated in the wild due to the amphibian chytrid fungus. 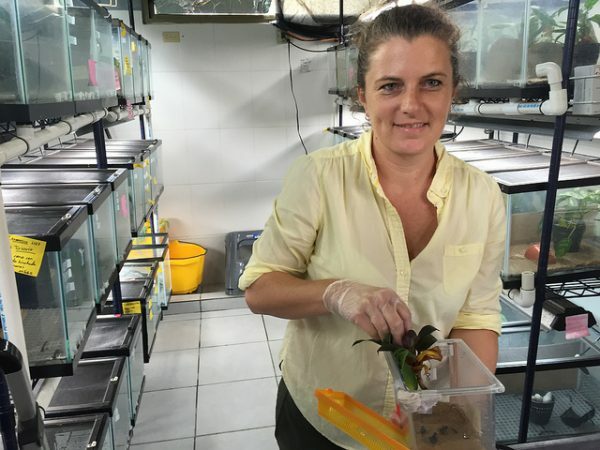 After obtaining permits from the Panamanian Ministry of Agriculture and the Ministry of Environment, and well as the US Department of Agriculture and the Fish and Wildlife Service, the frogs were flown back to Panama on May 16, 2018. The frogs were packed to IATA specifications (In delicups with damp moss, artificial leaves and packed in a cooler with Phase 22 thermal regulating packs). 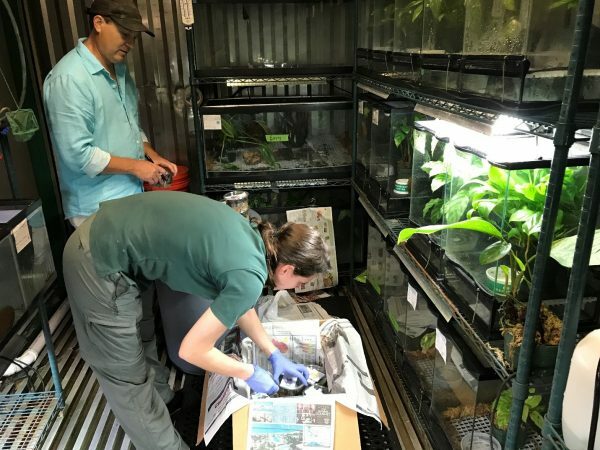 The frogs all made the trip in good health and are now being held in a quarantined shipping container at the Panama Amphibian Rescue and Conservation Project in Gamboa. After a quarantine period, we will breed these animals with the captive-breeding stock already in Panama. 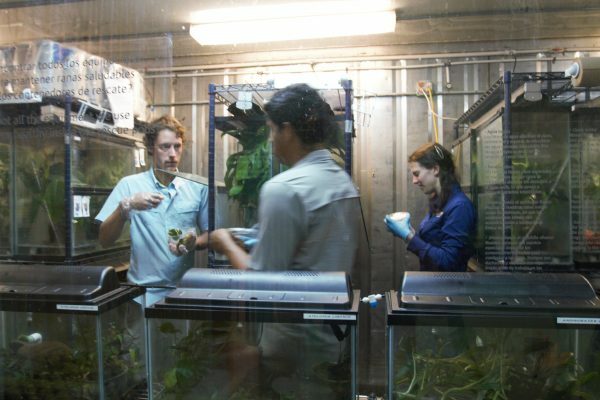 Elliott Lassiter, Jorge Guerrel (Smithsonian Tropical Research Institute) and Chelsea Thomas (Atlanta Botanical Gardens) unpack frogs inside a quarantined shipping container in Gamboa. 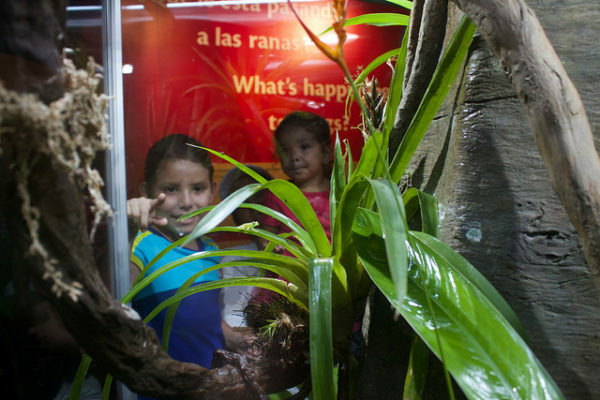 Visitors to the center can see frogs through a display window as part of a miniature exhibition. 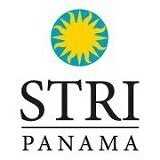 The 14 years of investment, and dedicated conservation efforts at the Atlanta Botanical Gardens will significantly improve the genetic population management goals for both of these species in Panama, bringing the original ARCC project full circle. Many infectious diseases can fade away after initial outbreaks. Bubonic plague, cholera, and influenza are examples from recent human history. The same phenomenon occurs for wildlife diseases as well. How does this happen? One popular explanation is that the pathogen evolves to become less deadly, so that it doesn’t completely wipe out its hosts, ensuring pathogen survival. While this scenario does sometimes play out, we know that there are other reasons why the severity of diseases can change over time. For amphibians, we’ve known about a highly lethal disease called “chytridiomycosis” since the 1990s. This disease was especially devastating in Central America, where it may have wiped out entire species. 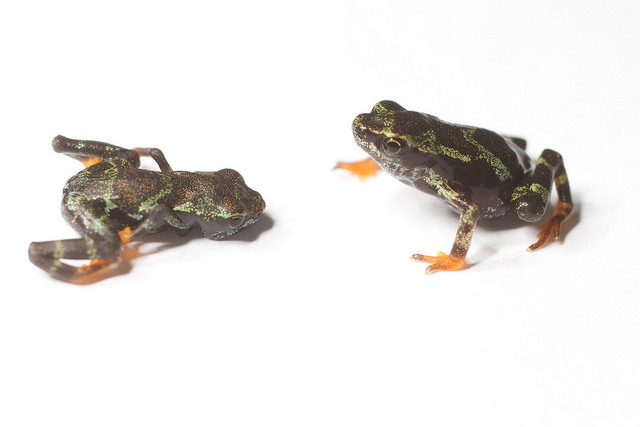 In this study, we made the exciting discovery that some amphibian species – frogs that were thought to be extinct – are persisting, and even recovering, after lethal disease outbreaks. We wanted to understand how it was happening. 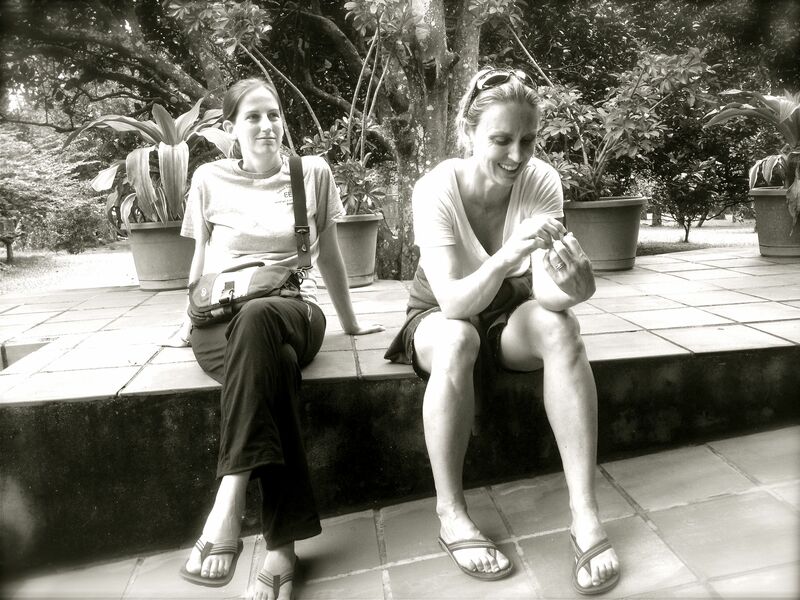 Was it a change in the pathogen, the frogs, or both? To answer these questions, we did two things. 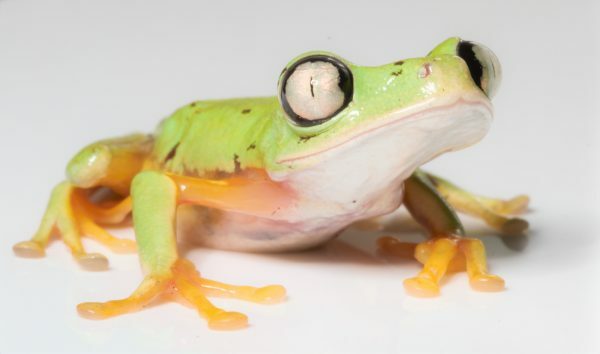 To begin with, we surveyed frogs in Panama before and after the disease outbreak. In addition, we collected samples of the pathogen at multiple time points: during initial outbreaks and ~10 years later. We found that nearly a decade after the outbreak, the pathogen was just as deadly. However, the frogs are surviving and have better defenses against it. Panama’s frogs are fighting back! Understanding how amphibian communities are recovering after this disease outbreak is important multiple reasons. First, resolving how this works will help us develop more informed conservation strategies to protect amphibians from disease-induced extinctions. Second, clarifying how disease outbreaks subside will help us predict, and respond to, other emerging pathogens in plants, wildlife, and in humans. These goals are increasingly important in a time when rapid globalization has increased the introduction of pathogens to naïve host populations. 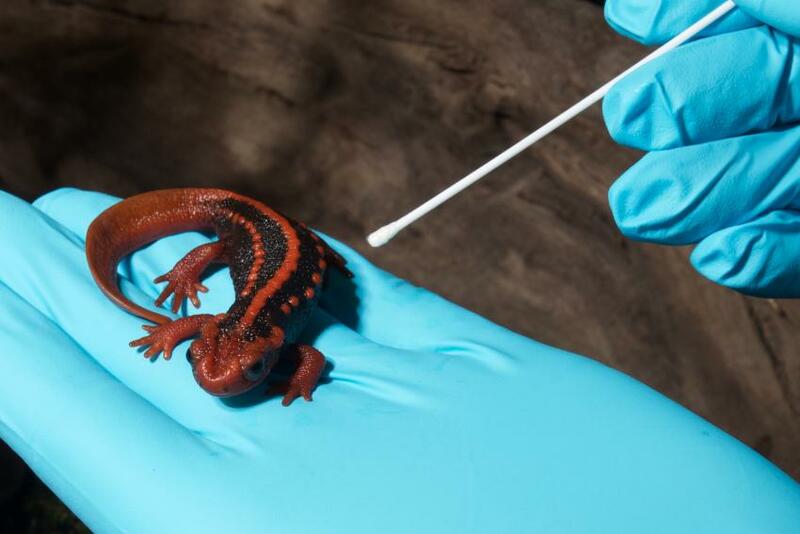 A recent rule put in place in 2016, restricting the international import of 201 salamander species into the United States, aimed to prevent the newly discovered deadly salamander fungal disease, Batrachochytrium salamandrivorans (Bsal), from entering the country. In a new study published Oct. 13 in Scientific Reports, Smithsonian Conservation Biology Institute scientists reveal that the moratorium seemingly has a chance to do its job effectively. 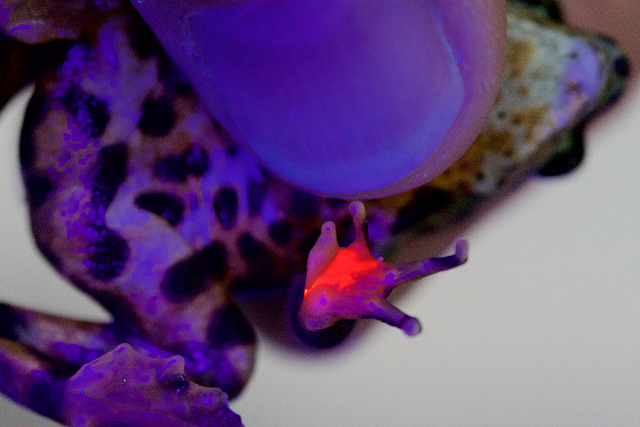 Researchers swabbing an emperor newt at the Smithsonian’s National Zoo. Emperor newts belong to a genus of newts from Asia that are currently subjected to the U.S. Fish and Wildlife Service’s moratorium on salamander imports because of the risk that they may carry the deadly salamander fungal disease, Batrachochytrium salamandrivorans (Bsal). The study marks the first general survey for Bsal in pet salamanders in the United States. 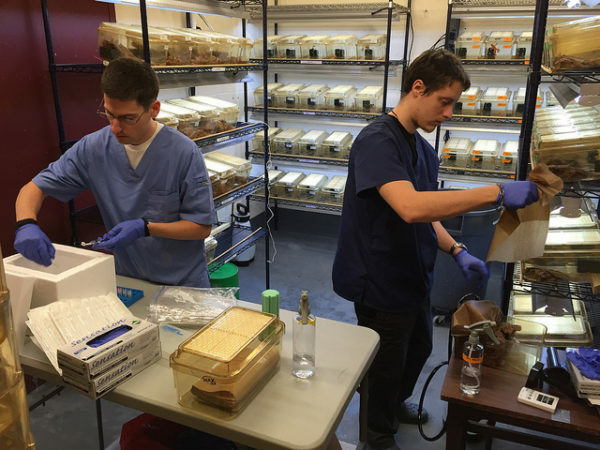 The researchers worked with the Amphibian Survival Alliance to mail out sampling kits to salamander pet owners. In return, the team received skin swab samples from 639 salamanders belonging to 65 species, many of which are potential carriers of Bsal. None of the samples came back with evidence of Bsal, according to tests conducted in SCBI’s Center for Conservation Genomics. 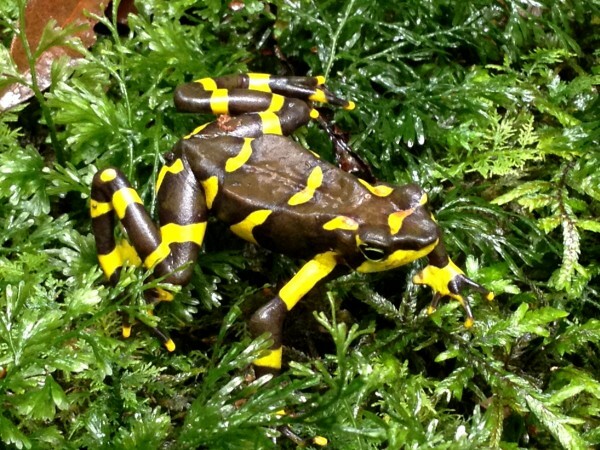 Bsal was discovered after populations of fire salamanders in the Netherlands experienced catastrophic declines from the disease, which was likely introduced from Asia, the source of most international exports of salamander species for the pet trade. 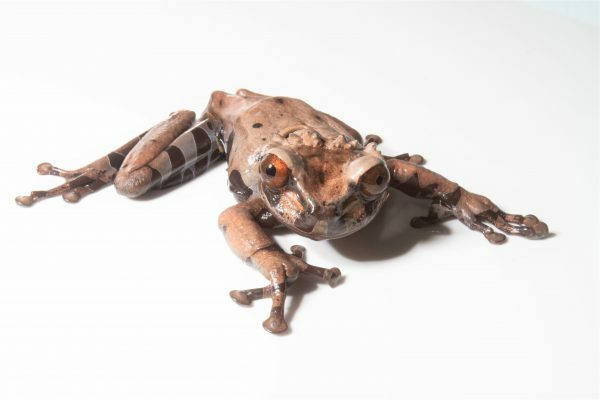 Bsal is similar to a frog-killing fungus called Batrachochytrium dendrobatidis (Bd), which has been a major driver of global amphibian declines and extinctions. Bsal has been detected in the wild in the Netherlands, Belgium, Germany and Vietnam, as well as in in captive individuals in the United Kingdom and Germany. The Lacey Act, which includes the 201 species of salamanders the U.S. Fish and Wildlife Service list as “injurious wildlife” (those most susceptible to Bsal or likely to spread Bsal) limits both the import of these animals from other countries and their transfer over state lines. According to the paper, the Lacey Act decision reduced the number of salamanders imported to the United States from 2015 to 2016 by 98.4 percent. The United States is home to 190 native species of salamanders. 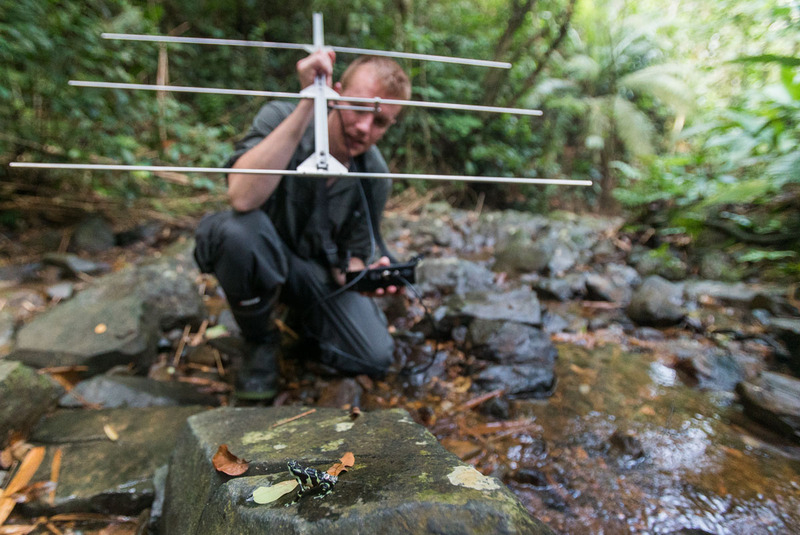 The Scientific Reports study complements SCBI’s ongoing tests of salamanders in the wild, which have also come back negative for Bsal. SCBI will continue to screen for the disease in the wild and work with collaborators on developing methods to manage the spread of Bsal should it be introduced into the wild. The paper’s additional authors are Matthew Becker and Robert Fleischer, SCBI; James Lewis, Rainforest Trust; and Larry Rockwood and A. Alonso Aguirre, George Mason University.